Vegan Restaurants? Is it a right direction for the restaurant industry? When the world food culture is being hijacked by big fast food chains the food culture here in Dublin 8 is taking it’s own directions. In a ted talk the author of the book “the Starch solution”–Dr. John A.Mcdougall said, “we live in a society where people are fat and sick”. which is very alarming, to say the least. while this is happening, Dublin 8 has been embracing all the different food from different parts of the world. a notable place is Sova Vegan Butchers as a self-proclaimed 1st Vegan restaurant in Dublin by the proprietor Bart Sova. 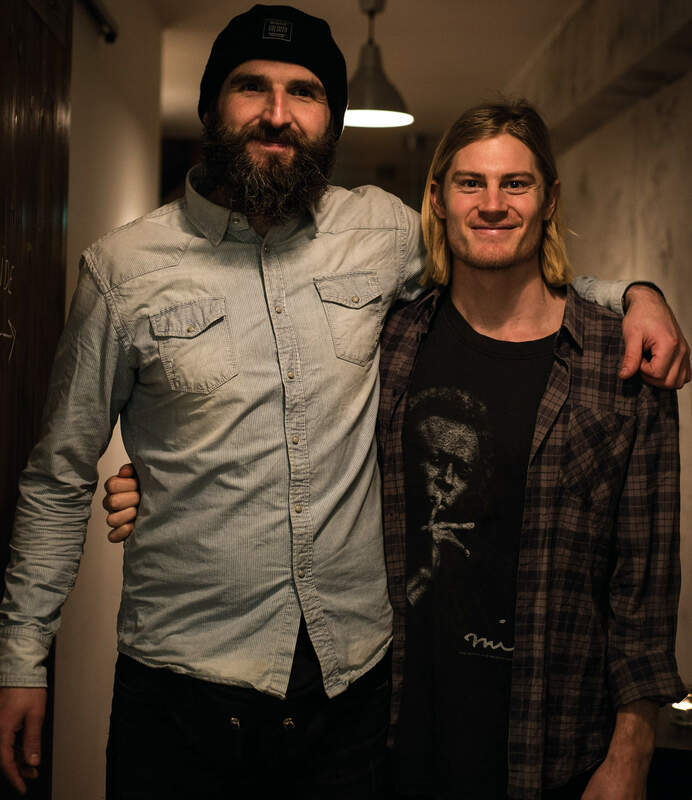 Bart originally from Poland been a Dublin native for over 12 years.who took the risk to open up a vegan restaurant in a country where a meal is virtually unheard of without meat. referring back to Dr. John A. Mcdougall who said, “solution is simple but it doesn’t favour the businesses.” When the food economy is suffering worldwide people like Bart Sova catering for people’s needs while making it business favourable. Sova Vegan butchers are one of the newer addition in the Dublin food scene. Vegan restaurants are always a risk that not many restaurant owners are willing to take. And people who do own the business aren’t really willing to share their secrets. while asking for an interview people in this restaurant seemed very open to it. Upon arriving, the place seemed very welcoming, very bright and had a Morden day vintage style restaurant vibe to it. Bart was very welcoming from the get-go. He welcomed us with a bright smile and showed us upstairs for the interview. Upstairs seemed very bright in the daylight, with smooth jazz playing can’t say the place and the bright welcome can give anyone a reason to complain. Circular: How long have you been in Dublin? Circular: where are you originally from? Circular: Have you done anything in the catering industry before here? Bart: Yes. Before opening up we’ve done pop up shops in the art gallery. There’s an art gallery. Then we got the lease here in may. After 2 months of refurbishment, we opened our doors in July. Circular: How has your reception been from the public? Bart: It’s been surprisingly good! Like there was no falafel place in Dublin 7-8 years ago but there’s plenty of them now. People are very conscious now so a plant diet restaurant getting a good review is good for us. circular: What’s the idea behind your food? Bart: I wanted to create a vegan based diet. Wanted to give people some good vegan dishes. I am vegan for 10 years now and It’s good to have healthy options for people when they go to restaurants. Circular: How come I haven’t seen any advertisement for your restaurant? Bart: we like to stay out of the commercial side of the thing. It’s about the food. Interviewer: So anything you want to say for anyone who wants to get into the vegan food business? Vegan food is the right direction for people who likes to know where their food comes from and when newly innovative people are joining the scene with their innovative food it only makes it a whole lot colourful. It’s always been under rated because of the who meat-based diet being dominant and profitable for the big industries by in a sense literally industrialising the livestock sector. Vegan food mean could be a right direction to solve a lot of our food issues. And when you People are opening up colourful restaurants like Sova Vegan Butchers are opening up right at our back yard of Dublin City we can at least be sure that our restaurant Industry are taking a right direction. A Product of Cultural Combos. Wanderer of the Universe. Avoiding "white Bics" since the dawn of times.